The Phase I EJ25 engine in the 98 RS is different than newer year RS engines. For starters it is DOHC instead of SOHC. It has a lower 9.7:1 compression ratio compared to 10:1 in the Phase II. The bearing journals and oil passages are also different. Generally, the high compression and aluminum block with it's open deck design don't make for a great boosted car. 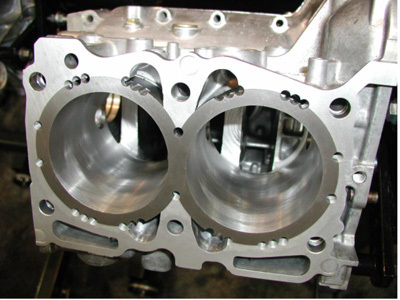 The Phase I is notorious for blown head gaskets as the original design was inferior. To get a stout block for boosting it'd ultimately be best to bore and sleeve the block. Then get it closed deck. Have the oil and coolant passages extruded for better flow. Then have the matting surface o-ringed to hold the gasket in place. The crank is good for some serious power. Gererally, Phase II engines are used as they are a direct swap in for Phase I engines. 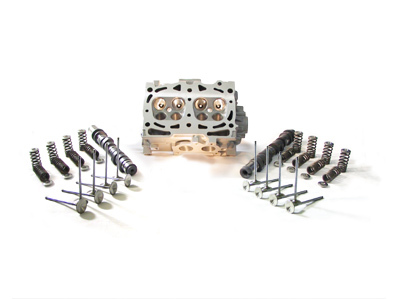 JE ceramic top pistons are and some pauter forged rods will make sure to hold the power. At least that's my plan. The heads will get valve float if too much boost is created. Likewise it's generally thought they won't flow enough for more than 300hp. Valves, springs, retainers and some porting is probably required to get into the serious power levels. Cobb spicy cams couple with these should provide ample flow. Basically, the stock block is not very reliable after about 5psi without serious engine management. To get a serious block for power requires some cash and hard work. Not for the faint of heart. 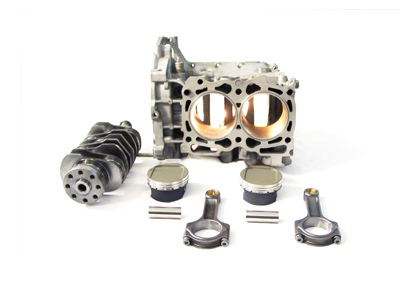 Even the new EJ25T blocks used in the STI are semi-closed deck. This is a viable option for use. Personally, I'm just gonna build a race block. Phase I EJ25's are decent for minor power. With proper engine management they can provide for mid 200 level horsepower without seriously degrading engine life. Hopefully, guess we'll have to see. I'm gonna push mine as far as it can go!